A local home suffered a kitchen fire which left a significant damage on the walls and wall cabinets. The problem was quickly dealt with and we make it "Like it never even happened." This is a picture of mold found above a shower in Santa Clarita. The hole in the ceiling was caused by a small leak in the pipes, which also caused the mold growth in the ceiling. Our goal is to fix disasters "Like it never happened". 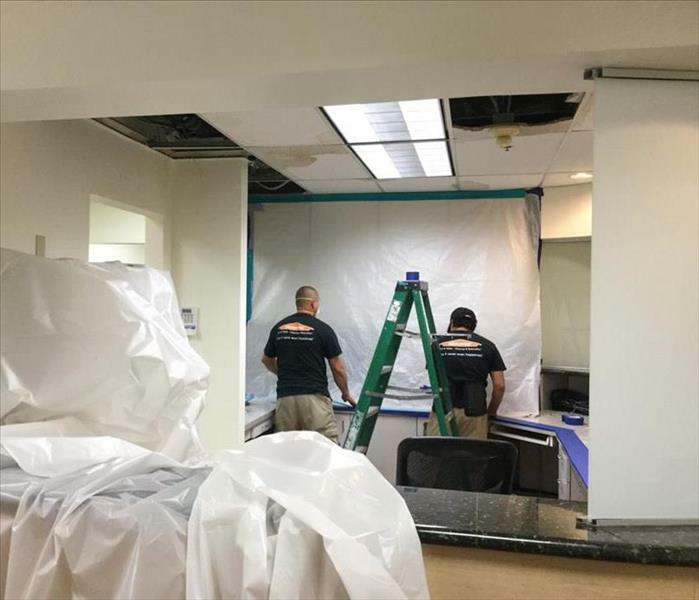 A local house in Santa Clarita had mold in their bathroom and a containment had to be set up before our crew could start cutting through the affected area. The sealing of the room with plastic avoids movement of mold through the air. A local Santa Clarita home had a leak from the pipes from the second floor that destroyed through the ceiling of the first floor shower. Our crew had to cut the ceiling, which was heavily affected by the water damage. This is a picture of our crew members setting up a containment at a large commercial loss. The building was heavily affected by a bursted fire hydrant that flooded the building from its upper floors down to the ground floor. Fortunately, SERVPRO was able to respond and serve the local Santa Clarita building. 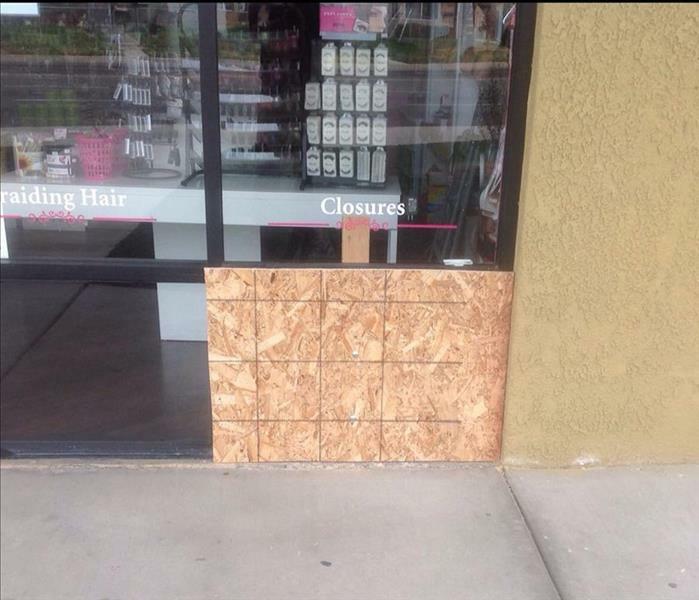 This is a picture of a local commercial water loss in Santa Clarita. 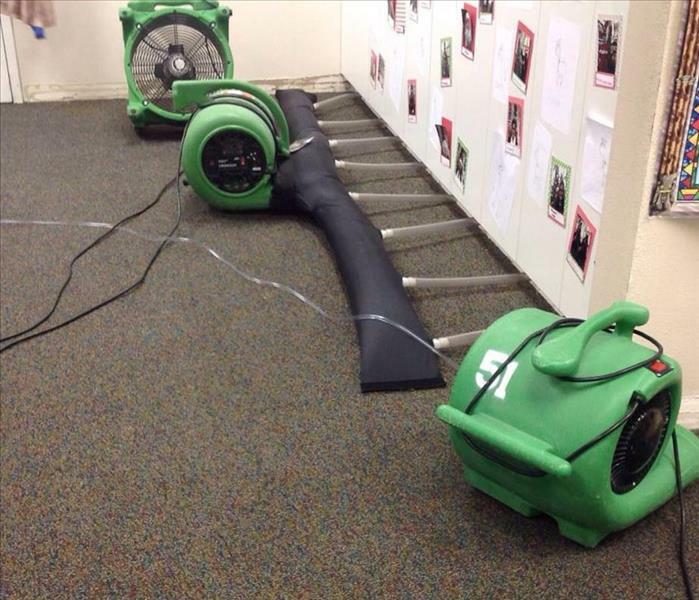 SERVPRO was able to clean it up "Like it never happened" allowing the business to get up and running as quick as possible. 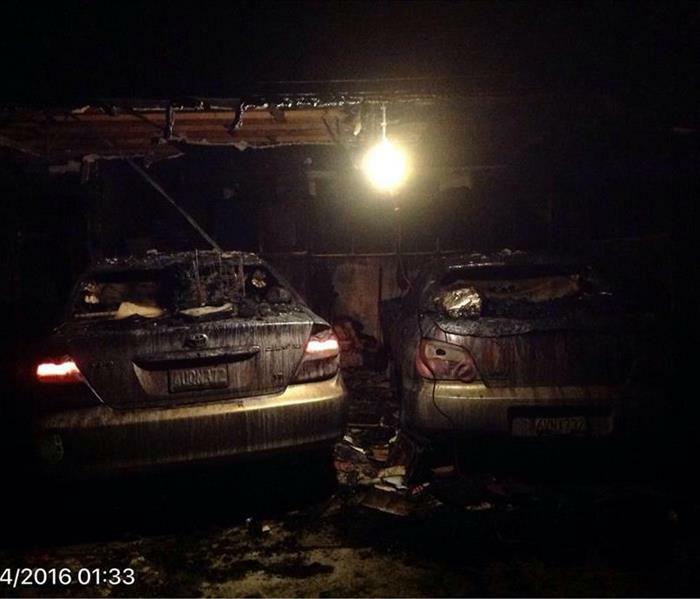 This is a picture of a garage in a local home in Santa Clarita that caught fire. 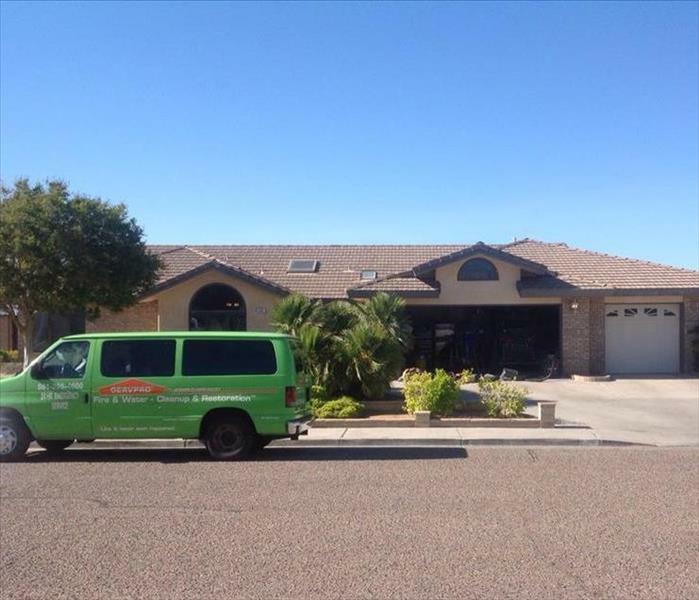 SERVPRO was able to clean up the fire loss that left soot and smoke damage in the house.